I don’t know about you but for me, warm, melty cheese + freshly baked crusty bread = true love! 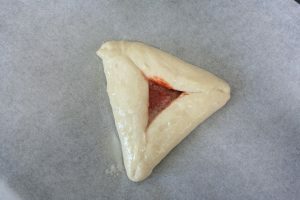 And what a better way to celebrate those two things than in a festive hamentashen! 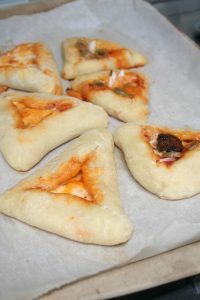 Purim is coming up and these mini pizzas are a great dish to serve to break the fast. (Tanit Esther is the day before Purim.) Serve with extra marinara sauce for dipping those cheesy crusts into. Pair with your favorite vegetable soup and you’ve got a filling and fun meal to start the holiday with. They can be made a few hours ahead of time, refrigerated and baked when you are ready to eat. With the same amount of dough you can make two medium sized pizzas instead of mini pizzas or one large pizza. Just keep the cheese sticks whole and use one or two for each side depending on how big your pizza is. 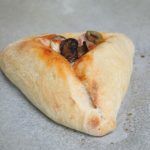 I used Trader Joe’s Pizza Dough because it is so easy to work with but you can make your own too. *This is NOT a sponsored post. I am not being compensated in any way for references made to specific products or brands. All opinions are my own. A fun and tasty dish to break the fast with. Serve with extra marinara sauce for dipping the cheesy crusts into. 1) Preheat the oven to 475 F.
2) Dived the dough into 6 equal balls slightly larger than a golf ball. Individually roll each ball into a circle approximately six inches in diameter. The dough should be very thin. Use a bowl or other round object to cut into a perfect circle. Place on a single layer of a baking sheet lined with parchment paper. 3) Cut each cheese stick in half length wise and then in half again width wise the get four equal pieces. 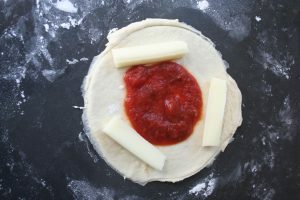 4) Place three of the cheese stick pieces on the outer edge of the pizza dough and fold over the edges to create a triangle. Be sure to seal the ends so the cheese does not melt out while baking. 5) Brush olive oil on the edges of the pizza dough. 7) Bake for 8-10 minutes. In Israel, a bakery with a wood burning clay oven is know as a taboon. They are famous for light and fluffy flat breads such as pita, laffa and bagles baked with a variety of cheeses, herbs and spices and served with vegetable salads and spreads. 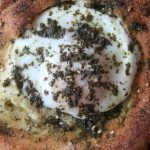 I don’t have a wood burning clay oven, but I was fortunate enough to have my mother-in-law, Rachel teach me how to create a taboon special, Baked Egg Pita with Zaatar. This dish is great as a hearty snack or sufficient enough for a meal when served with salad and fries. This simple Israeli comfort food can be but together in minutes. Serve with Israeli vegetable salad to round out the meal. Create a hole in the top side of the pita leaving a ¾ in boarder. 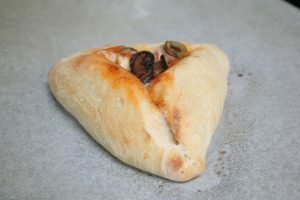 Place the pita on a baking sheet lined with foil or parchment paper. 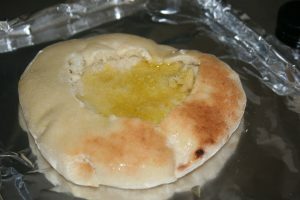 Brush the top half of the pita inside and out with olive oil, sprinkle with half of the zaatar. Crack the egg into a small dish or cup and check for blood spots. Carefully pour the egg into the center hole of the pita. 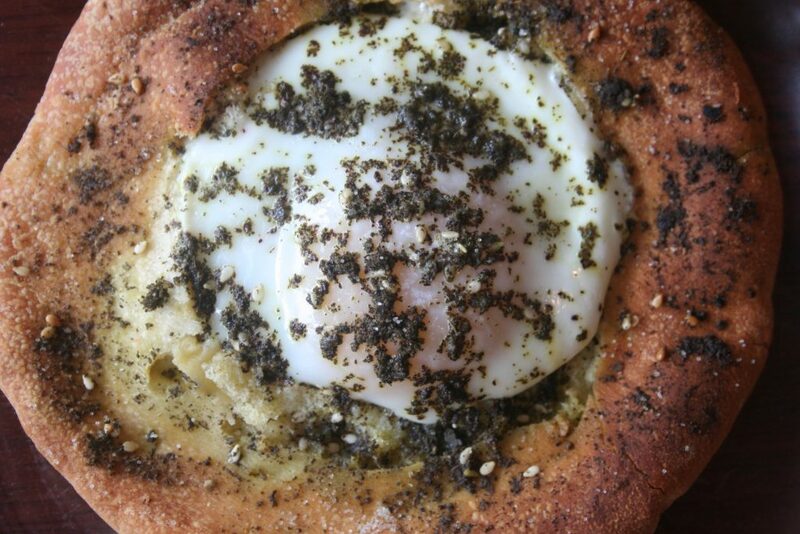 Sprinkle the remaining zaatar on top of the egg. Sprinkle with salt and pepper. Bake in for 8-10 minutes. Be sure to watch carefully that the pita doesn’t burn around the edges. If it does start to burn before the egg is cooked, lightly over with foil. Do not broil. 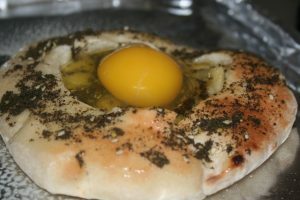 You can also bake the pita and egg in a toaster oven. Just be sure to preheat the toaster oven an check for doneness depending on your toaster’s temperature. Roasted eggplant and peppers give this dip a deep smokey flavor. Cut eggplant and red pepper lengthwise and lay cut side down on a broiler pan lined with foil and sprayed with cooking spray. Place jalapeño on broiler pan with eggplant and pepper. Broil at 550 degrees F. for 10-15 minutes. Once the red pepper is mostly blackened, remove from the oven and place in a bowl. Cover and allow the pepper to steam. Turn the jalapeño over to blacken the other side. Broil 5-10 minutes more or until mostly charred. Once charred, remove jalapeño from the oven and place in the bowl with the red pepper. Cool until the peppers can be handled. Continue to roast the eggplant for an additional 5-10 minutes, for a total cooking time of 30 minutes. Remove from the oven and allow to cool on the pan. Once the eggplant has cooled, scoop out the flesh with a spoon careful remove all of the charred skin. Place the eggplant flesh into a medium bowl. Mash with a fork until eggplant is no longer stringy. Remove the cooled peppers from the bowl. Peel the charred skins and discard seeds. Chop into a ¼ in. dice. Add the peppers to the eggplant. Add remaining ingredients. Stir to combine. Makes 1 cup. Blend in the tahina paste or mayo if using. This recipe is also great with roasted garlic instead of the raw it you have some on hand. 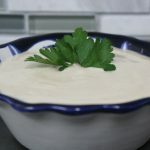 Prepared, seasoned tahina is a popular middle eastern condiment and is often served in a pita to accompany falafel or shawarma. Made from ground sesame seeds, tahina has a nutty flavor and smooth texture. Combine all ingredients in a food processor and blend until smooth. Note: Tahina will get thicker before it gets thinner. 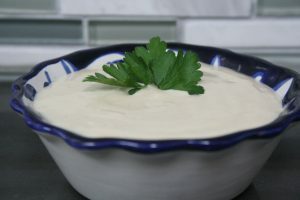 If it is still too think once all the water has been added, continue to add water a few tablespoons at a time and blend until it resembles a thick sauce. Once refrigerated, tahina will thicken. Seasoning and water measurements may vary depending on which brand of sesame paste you use. I prefer Achva brand. Makes 2 cups. 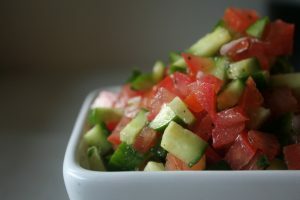 True Israeli salad is a mixture of finely chopped fresh, vibrant, vegetables. There are a myriad of variations to this salad. This recipe is as basic as it gets. Feel free to add and combination of finely chopped vegetables, swap in a different variety of onion and/or throw in some fresh herbs. This salad makes a great fresh side, especially when served with barbecue. It’s also served in a pita to accompany falafel. We have is as part of our first course with Shabbat meals served with challah. 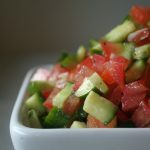 Serve as a fresh side salad or add it to your pita. Combine cucumbers, tomatoes, and shallot in a bowl. Dress with lime juice, olive oil and salt and pepper. 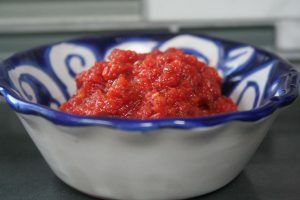 Matbucha is a North African mild tomato sauce that is served cold as an appetizer to accompany bread. My recipe makes 3-4 cups, which I divide and freeze to be used as needed. I prefer using salt free crushed tomatoes. Always wear rubber gloves when peeling jalapenos to avoid an irritable burning sensation caused by the peppers’ heat. Keep the flame low and stir frequently to avoid burning the bottom of the pan and to keep the sauce from rapidly bubbling and causing explosive hot tomato splatters. Matbucha isn’t hard to make, it just takes patience. 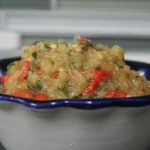 It’s worth the effort, the taste and quality of homemade matbucha are far superior to any processed and packaged sauce. 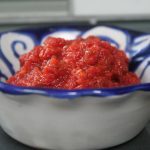 This mild North African tomato sauce can be used as a condiment on sandwiches or in a pita. Pour the canned tomatoes into a large, deep sauce pot over a low flame and simmer for one hour, stirring every 8-10 minutes with a wooden spoon, scraping any bits that get stuck to the bottom. Cut the bell pepper in half and remove the seeds. Place cut side down on a broiler pan lined with foil. Flatten pepper halves gently. Place jalapenos on broiler pan with bell pepper halves. Broil until black and charred. (5-10 minutes for the bell pepper, 10-15 minutes for the jalapenos) The jalapenos will need to be turned over to evenly broil both sides half way through cooking. Place the hot, charred peppers in a heat proof bowl and cover . Cool in the bowl until they are able to be handled, 10-15 minutes. After one hour of simmering tomatoes, add salt and oil. Stir until oil has been absorbed, about one minutes. Peel, seed and chop peppers into a ¼ inch dice. Add to tomato sauce, stir to combine. Continue to simmer for 10-15 minutes. Cool and refrigerate. Serve with bread (challah or pita). This can also be made in a slow cooker on low for 4-6 hours. Peppers still need to be cooked and added separately. We have this salad every Shabbat as part of the first course. Leftovers make great sandwiches. Place eggs in a medium sauce pan and fill with water until eggs are covered. Bring to a boil and cook 8 minutes. Rinse with cold water. Add a few cubes of ice to water and fully cool eggs. This will help them peel easier. 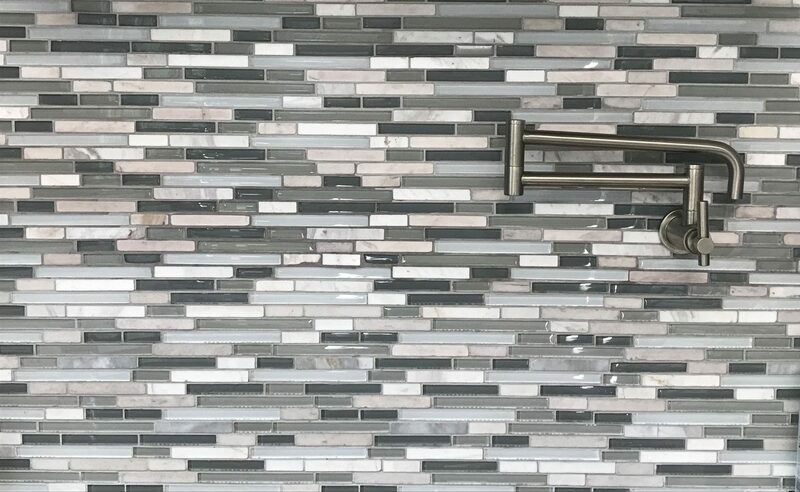 Once eggs have cooled, peel and rinse off any remaining shells. Separate egg whites from yokes. Place yokes in a medium bowl. 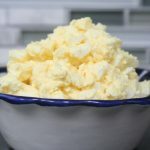 Add mayonnaise to yokes and combine with a fork, mashing yokes to form a thick egg mouse. 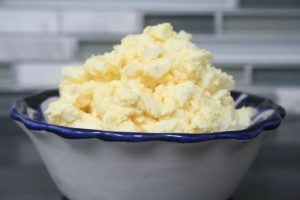 Chop egg whites into a ¼ in. dice and fold into egg yolk mayonnaise mixture. 1) Preheat oven to 375 degrees F. In a 9×13 in. baking dish marinate fish in orange juice for 1-2 hours in the refrigerator. 2) Discard orange juice. Rinse baking dish and spray with nonstick cooking spray. Place salmon in dish skinned side down. Season with salt and pepper. 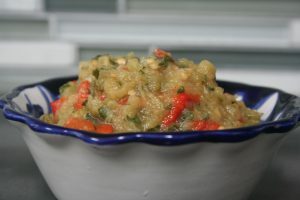 3) Combine the garlic, silan, olive oil, mustard and Sriracha in a bowl. Spread evenly over salmon allowing excess to fill into the perimeter of the baking dish. Add ½ c. of water around the salmon but not directly on the fish. 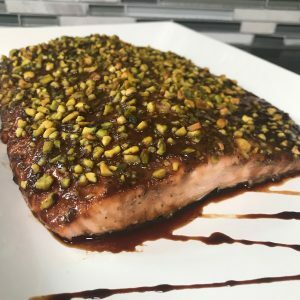 4) Sprinkle chopped pistachios over salmon. 5) Bake for 20 minutes uncovered. 6) Broil for 1-2 minutes to brown pistachios being careful not to burn. 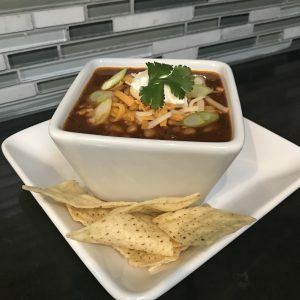 I make this soup practically every other week because it’s one dish that everyone loves and asks for seconds. It also comes together in minutes. Set the table and dish up all of the fixings while the soup simmers and dinner will be on the table in no time. What is one dish that you prepare regularly that your family can’t get enough of? I would love to know in the comments section or contact me directly at hana@lakosherkitchen. Savory Mexican inspired dish that is ready in less than an hour. Add onion and sauté until onion begins to brown, about 3 minutes. Add chili powder and cumin. Sauté 1 minute. Add crushed tomatoes, water, oregano and salt. Stir to combine scrapping up and brown bits that may have stuck to the bottom. Cover and bring to a boil. Uncover and add beans, corn and cilantro. Cover and bring to a boil then reduce heat to low and simmer 10 minutes stirring every few minutes. Serve with avocado, sour cream, shredded cheese, green onions, hot sauce and tortilla chips. Substitute non dairy cheese and non dairy sour cream to make this dish parve or vegan. Savory, sweet, spicy and saucy salmon. 2 lbs. salmon skinned and boned, cut into 8, 4 oz. fillets. 2) Add sliced onion, sauté 6-8 minutes, just until onions start to brown. 4) Add garlic and ginger, sauté two minutes. 5) Add curry powder and harrissa, sauté two minutes until all ingredients are combined and spices begin to fry. 6) Add coconut milk and mango juice, cover and bring to a boil then reduce heat to low. 7) Add additional 1/2 t. salt and chickpeas and simmer on low for 10 minutes. 9) Sprinkle with paprika, remaining teaspoon of curry powder and 1/2 t. salt. Spray with olive oil cooking spray. 10) Broil for 10 minutes. 11) Add broiled fillets to curry sauce. Simmer on low for 2-3 minutes, basting fish with sauce. 12) Serve with optional chopped cilantro.